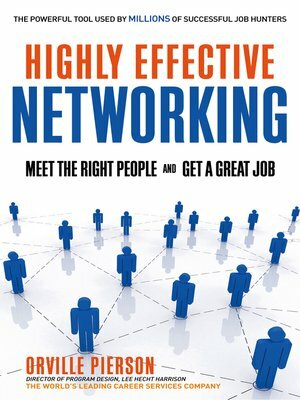 Virtually all job hunting experts agree that networking is the best way to find a great job. But most people don't have connections to the decision makers who do the hiring. And networking books, which are mostly written by and for salespeople, suggest aggressive tactics, often confusing these with real networking. They focus on building a powerful network over the course of a lifetime. But when you need a new job, you don't have time to build a huge, powerful network. You've got to use the network you already have. Orville Pierson, a top expert in job hunting, tells you how to succeed by effectively using your current circle of contacts. He cuts through the myths and misunderstandings to show you how millions of job hunters have networked their way to great new jobs. Use a small network to reach dozens of insiders and decision makers. Get the right message to the right people, even if you have never met them. Create a project plan to organize your networking efforts. Speak effectively and comfortably with your networking contacts. Talk to decision makers before the job opening is announced. Networking in job hunting is different than other networking. You don't have to hobnob with the rich and famous. There's no need for aggressive sales tactics. You just need to understand how real networking fits into your job search, and then be systematic about doing it.